In the Book of Rites, a classic of the Confucian canon, when a man turns 20, his parents would hold a capping ceremony for him – a rite of passage symbolizing his entrance into adulthood. Kong Xuanyou, China's vice foreign minister, related this metaphor to the two decades of cooperation among China, Japan and the Republic of Korea (ROK). As the trio celebrates its 20th anniversary of the trilateral cooperation mechanism, how far will it come in fostering regional integration amid a volatile global geopolitical landscape? It's right now at a crossroads, where it either continues adapting to multifaceted pressures, or risk fragmentation. 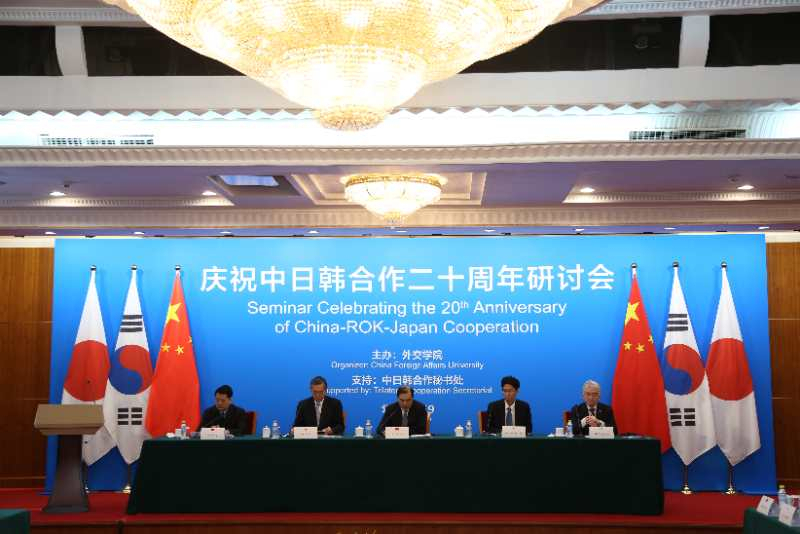 The extensive cooperative mechanism, borne out of the ASEAN Plus Three, has leaders' meetings at its core, along with 21 ministerial meetings and over 70 working-level consultations, Kong Xuanyou, also the Special Representative of the Chinese Government on the Korean Peninsula, said at a recent seminar in honor of the 20th anniversary. It has allowed China, Japan and the ROK to weather two financial crises, as well as facilitated negotiations on free trade zones and cultural projects, Kong added. Zhang Yunling, director of the Chinese Academy of Social Sciences' Institute for International Studies, concurred, noting that cooperation in East Asia truly began with tackling the financial crisis in 1997. As such, the mechanism has been integral to regional peace and prosperity. 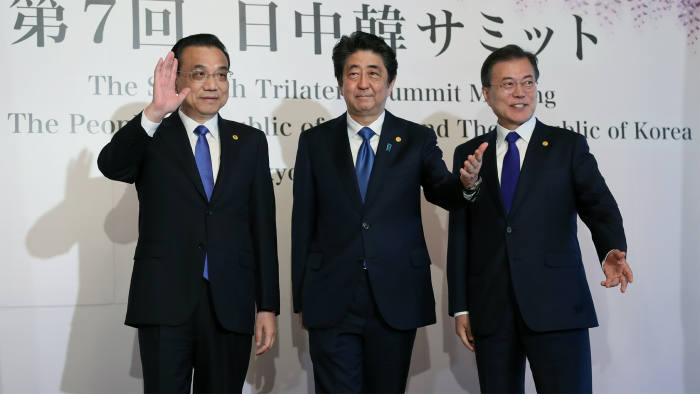 The trilateral summit, which made a belated debut in 2008, undoubtedly allows a more effective approach to regional issues involving economy and security. Of course, the economic might of the three countries resonates far beyond the region. Nagano Shinichiro, a professor with Daito Bunka University noted at Friday's seminar that the three countries take up about one fifth of global GDP and 18 percent of worldwide trade volume, and together make up the world's largest market. Moreover, their respective industrial chains are intertwined, and the trade volume among them exceed 700 billion U.S. dollars. What hinders East Asian integration? As regional contact becomes more frequent, the number of issues among the three countries has increased as well. 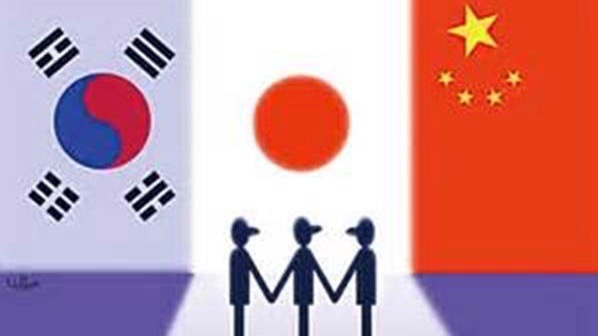 As China, Japan and the ROK are at different stages of economic development, they will undoubtedly have conflicting interpretations of what's the best for their respective countries. Lee Tai-hwan, senior fellow at the Sejong Institute and president of Korea-China ThinkNet noted that in the midst of a new industrial revolution, these issues span the Internet of Things, big data, artificial intelligence, and 5G. The region should touch on issues of politics and security, but so far has been unsuccessful in doing so because of the disparity in relations among the countries, especially that the ROK and Japan remain under the U.S. nuclear umbrella. Even though the cooperation has reached a certain scale, there are differences in historical interpretation, maritime territorial disputes and so forth. Lee suggested that issues concerning regional cooperation and strategy, which have all along been hindered by these divisions, be explored. As for this impasse, Zhang thinks that the "unique thing about cooperation in East Asia is that it is predicated on a common ideal." 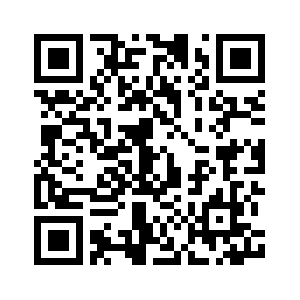 However, this ideal lacks constructive consensus." Namely, what is an East Asian community? Is it like the EU, the ASEAN, or something else entirely? Regional integration is difficult because it attempts to bring together sovereign entities that have differing, sometimes competing, interests, not to mention possible historical conflicts. Shinichiro looks to history for a case of successful integration – the European Union (EU). He recounted how the EU had its roots in the European Coal and Steel Community, an organization formed in 1952 after World War II. It was initially intended to resolve disputes between France and Germany over coal and iron ore mines along border regions. After the idea to form this organization was put forward by French political economist Jean Monnet, the grouping started out with six nations including Italy, the Netherlands, Belgium and Luxembourg. Over time, it grew to become the EU we know today. The EU comprises many members that have had points of friction throughout history. They are no strangers to the numerous wars and disputes fought throughout the millennia. 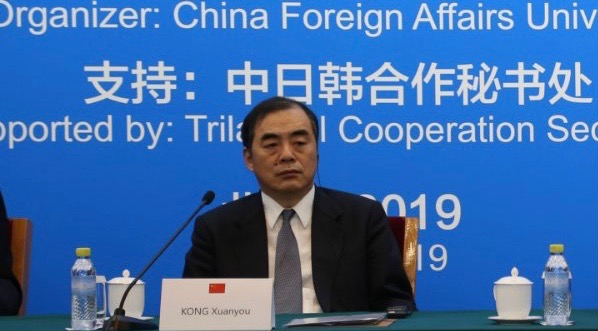 As such, the nations experimented with various paths to peace, Shinichiro stated at the seminar co-hosted by China Foreign Affairs University and the Trilateral Cooperation Secretariat. 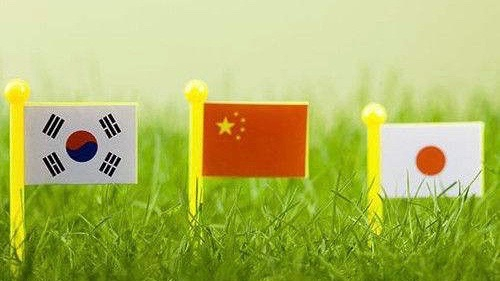 Similarly, there exist territorial disputes among China, Japan and the ROK as well as the tensions due to the nuclear crisis on the Korean Peninsula. Is there a clear path for East Asia as well? East Asia is not self-contained, so it faces external and internal pressures. With U.S. President Donald Trump touting his mantra of "America First," Washington is essentially abdicating its leadership of the post-WWII global order. Shinichiro suggested that countries in East Asia step up to bear the responsibility of promulgating a system that upholds common existence and cooperation in the 21st century. Amidst this uncertainty in a turbulent global landscape, Li Xiao, director of Jilin University's school of economics, said that the economic cycles between the U.S. and Asia are growing further apart. Since the U.S.'s Federal Reserve is concerned with domestic employment, it has not considered how inflation will bring about a significant impact on Asia. Therefore, there should be further cooperation among East Asian countries. 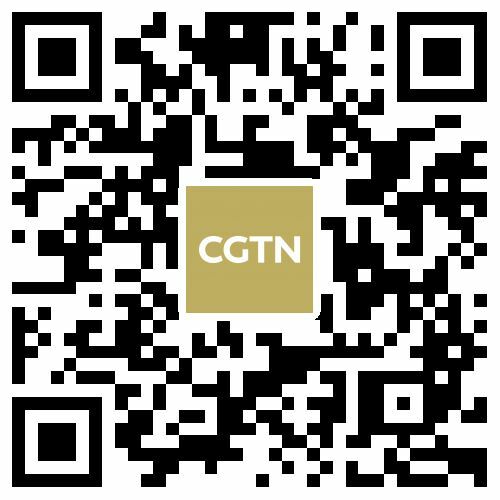 For instance, China can join the Comprehensive and Progressive Agreement for Trans-Pacific Partnership, also known as TPP11, before the U.S. pulls back, he told CGTN. However, "The loss of a grand vision is the problem we face in East Asia today. Exploring cooperation on an equal footing under new historical conditions proves rather a spiny issue," Li stated, encouraging the neighbors to seek a common philosophy uniting the East Asian region. More importantly, to foster greater connectivity among China, Japan and the ROK, it must foster a strong identity, which could begin by asking, "What kind of Asia do we need?"